There are currently 52,879 users on this website. I drew out the lines in in the date that I'm questioning. Just trying to get a fell for what they are? Interesting. Photos can be a bit tough to interpret, but could be something going on there. Not too different looking than WDDO-002 although the die scratches don't match and the mint mark may be a bit too far west. Looking at the top corners of TRUST to see if anything is going on there would be useful. 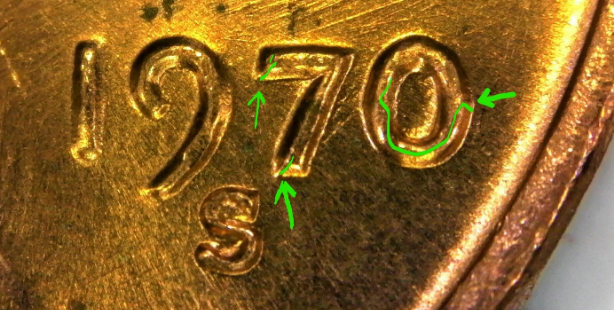 To me it looked like machining but on the date it looks like there's a "flap" of metal over the base of the zero. and a line up the base of the seven. Nothing good going on there at TRUST, so there is that. Honestly can't say for sure what's going on with the date, but try putting a couple layers of tissue or something over your light to create a diffuser and cut the glare. Maybe something pops out, maybe it doesn't. Looks like a nice coin either way. Good Call. Thanks for the tip. 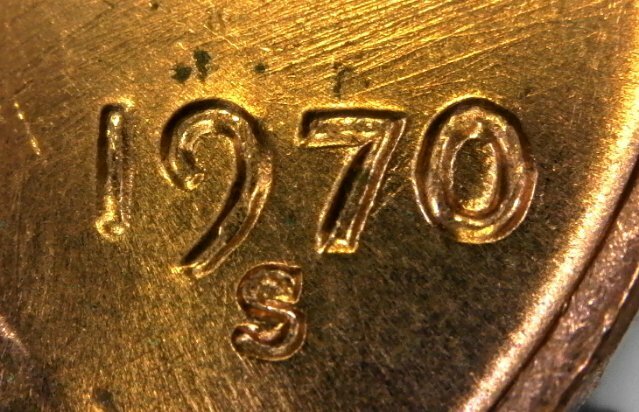 You should include the date, mintmark, and the denomination in your titles. This enables the members with expertise pertaining to your question to easily find and answer your question. The title of the topic also becomes the title of the topic's web page, which enables us to attract more collectors to the site. The more members we have, the more we learn. I couldn't find a match on the sites for this die yet. I need to make a side by side to see if the devices are enlarged or not. So keep it safe for now. Looks like a bit of doubling on the '7' and possibly the 'O'. So I would get a better image of just that area and any other areas where doubling could happen. Then Submit it to John Wexler and see what he thinks. The notches on the '7' are real convincing, but the spread is not huge. Wow!! How cool. I just thought I was seeing things... Holy crap!! I knew something was up when it didn't get resolved right away. Any Idea if its the real deal what it might be worth? Honestly, I couldn't even wager a guess. Thanks so much. I'll get the pics done today. 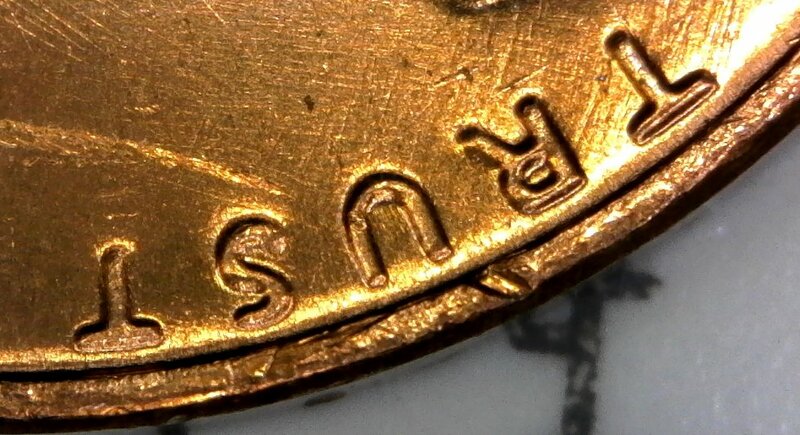 If accepted and listed as a new doubled die by Wexler, it would be WDDO-054. 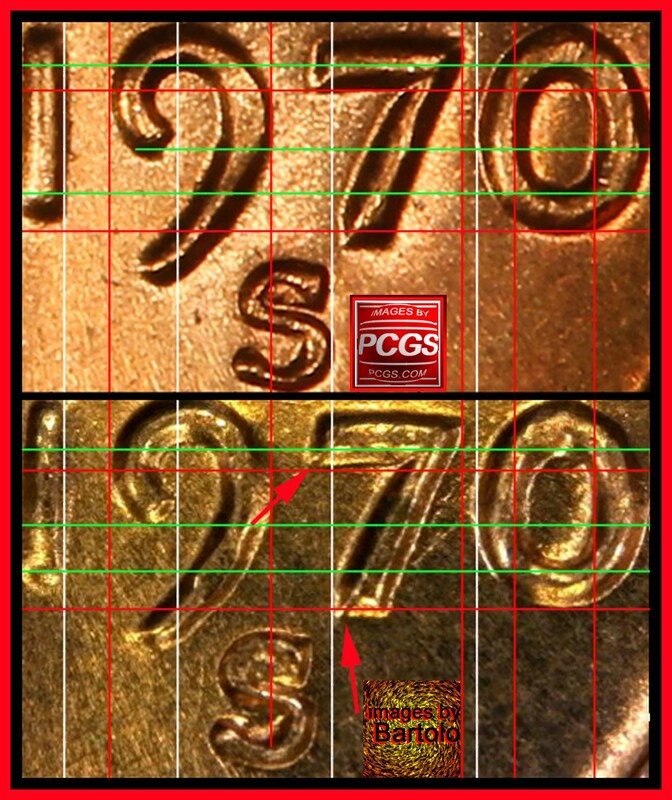 As in, there are already 53 known doubled dies for 1970-S making it one of the years with rather a lot of them (Tanman found the last one so big congrats to him!). That tends to lower the value of any particular one. It could be expected that your coin, if accepted and used as the plate coin on the website, would value around $25 although understand that is a guess based on selling a lot of cud plate coins not DDO plate coins. The value goes up a bit if he gives it "best of" label. But it maybe a case of MD altering the digits on the date? So don't get your hopes up too high yet. His email address is on the lower part of the home page. It took 0.98 seconds to rattle this change.